Routine maintenance is a cost of doing business. It’s something every business must plan for. However, it’s the maintenance problems that occur everyday which are not routine. Emergency maintenance problems are the most costly, causing a machine or a product line is shut down. The best way to protect yourself in case of an unforeseen emergency is to have a reliable machine shop whom you can trust to meet your needs, when you need them, minimizing costly downtime. 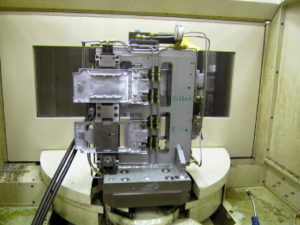 Grove Tools is a machine shop which has been built upon meeting its customers needs since 1969. We have 25 dedicated employees who understand we are a business built on service. They have proven themselves time and again to always do what’s needed to help a customer. Grove Tools is your answer to controlling your maintenance cost. You can depend on us to give you fast, quality service, without fail.